Syndicate Lofts – Tournier of Lommel~ The Story of a World Race…by Jan Hermans Introduction. Home › The Duif Chronicles › Tournier of Lommel~ The Story of a World Race…by Jan Hermans Introduction. Tournier of Lommel~ The Story of a World Race…by Jan Hermans Introduction. 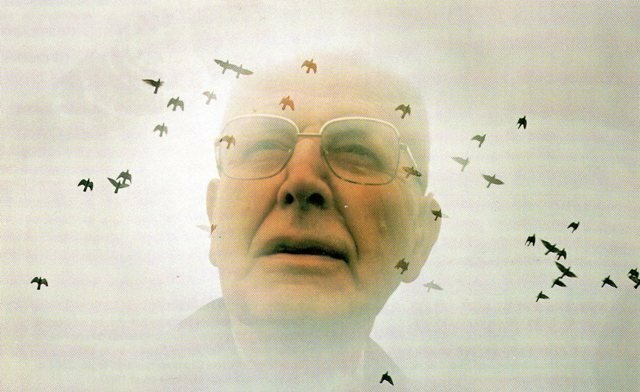 This story was first published in Flemish in 1993 as a record of the life’s work of one of the Giants of the Pigeon Sport…Jacques Tournier of Lommel. It was included in the Clearance Auction list organised by De Duif magazine in the Spring of 1994 after the passing of Mr.Tournier. It was translated into English some years later and we will include the full story on this site over four parts during the next week. First we must start with the Foreword by the author Jan Hermans. For eighty years between 1914 until 1994 it was pigeon racing at the highest level.This was the wonderful performance of the Tournier strain, which could probably only be matched by the Janssens. Although it is not excluded that somewhere some traditional strain had resisted the ravages of time, it was by all means very unlikely. The Tournier strain was and still is of exceptional value.Perhaps less homogenous than the Janssen strain but this was never the aim of the founders.The late Jacques Tournier and his son succesor Edmond had always kept a certain degree of diversity in order to maintain vitality. Continuously they had looked for the better pigeon, either by breeding it themselves or buying it elsewhere. 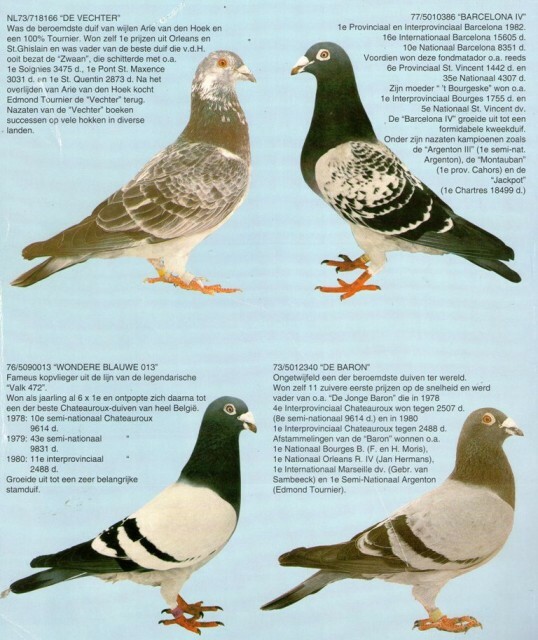 The basis of breeding excellent pigeons was laid at the beginning by champions such as “Colpar” from Gurnay and “Blauwe” from Van Hout, both had one quality in common : winning first prizes! This capacity was fixed in the strain. This was evident for eighty years and is still true today. In fact the Tourniers were instrumental in creating the modern racing pigeon, able to win from 100 to 1000 km against a tough competition. Many fanciers in the whole world have been taking advantage of their breeding capacities. A unique opportunity was presented to the pigeon world in 1994 when Edmond, who was nearly invaded every day by pigeon fanciers, wished to retire from the professional sport, keeping only the breed of 1993 for fun. All the Aces were to be sold by auction. The phenomenal ‘Black Jack’ and his famous sons ‘Montauban’ and ‘Cahors 11’. Also exceptional breeders such as ‘Schone Meeuw’ and ‘Inteelt Baron’ as well as ‘Goed Voske 12’. Also the semi national winners ‘Argenton 111’ , ‘Jarnacduivinnetje 1’ and ‘Perpignan 1’ one of the very best long distance racers of Belgium in 1993. The world famous Tournier strain was spread all over the world for the benefit and glory of many fanciers. ‘De Duif’ pigeon sport magazine organised this historic auction in four venues in the Netherlands over four days at the end of February and the begining of March 1994 and it proved to be a great succes with the golden bloodlines transfered to all areas of the world where the modern pigeon sport was practised. I had the honour to prepare the sales list and research and document the story of this world renowned strain. We now re-produce it in this publication for the first time in the English language. Some of the photos are reproduced from archive documents and probably do not stand up to modern technology but they are rare image records that illustrate the story so we must include them. I truly hope you enjoy this never ending story about one of the greatest pigeon families we will ever know. These are four of the Base Breeders that helped make the Tournier pigeons a World Strain!